Slade and Kix Irken. so this is a picture done by a friend of mine with mine and my boyfriends Irkens. Slade is the boy and Kix is the girl. XD. 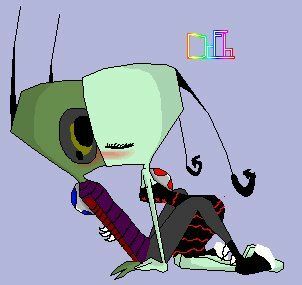 Wallpaper and background images in the Invader Zim FanCharacters club. This Invader Zim FanCharacters photo might contain meteorological balloon.